5-location dealer group now receives three times the online leads in a given week, compared to its past provider. 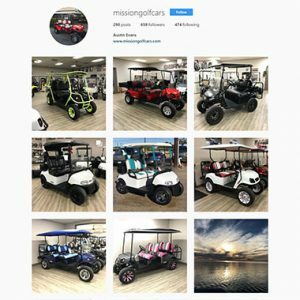 San Antonio, TX – (GLOBE NEWSWIRE – December 12, 2017) – Mission Golf Cars and its family of dealerships, known for five stand-out stores in central and south Texas, also has a stand-out Instagram account. General Manager Austin Evans, son of the original owner John Evans, understands the importance of digital marketing strategy, and that includes social media. It is no surprise that Evans is thinking creatively and helping to build an even larger following for his dealerships. Since Evans’ dad started the business in 1981, the family business has been aiming high. units for customers to browse. John Evans got the opportunity to purchase San Antonio-based Southwest Golf Cars in 1981. At the time, there were only three employees. John soon renamed the dealership Mission Equipment, carrying power equipment in addition to golf cars, and increased the staff to thirty members. Thirty-six years later, the “mothership” of the dealership group in San Antonio is now called Mission Golf Cars. 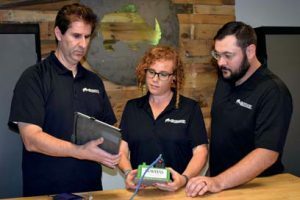 The business no longer carries equipment and is joined by four additional locations with seventy-four employees total. While John is still the active owner of the business, Austin Evans oversees the dealerships on a day-to-day basis. 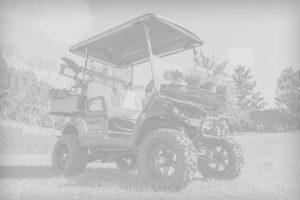 The family of dealerships includes Mission Golf Cars, Corpus Christi Golf Cars, Golf Cars of Austin, Golf Cars Etc., and Coastline Custom Golf Cars. The latter opened in 2017 due to a high amount of tourism in the store location, Port Aransas, and the large market for rental golf cars in the area. Before the devastation of Hurricane Harvey, which brought four feet of water into the store and destroyed all of its inventory, Coastline Custom Golf Cars was performing incredibly well. Evans says that it will re-open in January 2018. Evans describes his dealerships as having a “laid-back atmosphere,” where staff members wear “golf shorts and fishing shirts” every day. They also work with customers in a low-key manner. Helping customers make the right purchase is the top priority, and customer experience is the focus. Another reason employees connect so well with customers is because of their own habits and hobbies. “We’re all hunters, fishers, golfers ourselves – we live the same lifestyle as our customers,” Evans says. It is clear from the dealership group’s social media accounts that they are ahead of the game when it comes to online strategy. “Everyone knows you have to have a website, it’s just the extent that people are willing to go for a website that keeps people captivated,” Evans explains. “A lot of ‘mom and pop’-style golf dealers have websites that don’t have a lot of content, and the bounce rates are really high. We strive for low bounce rates, and we make continual changes to our content. We update our inventory weekly.” He also mentions that smaller golf car dealerships do not generally use social media at all. Before partnering with Dealer Spike, the dealership websites were designed and managed by a local web provider. Evans says it was very difficult to make changes to the sites, and he was even forced to come up with design ideas himself. “We knew we needed to make a change, so we started going online and looking around,” Evans says, and that’s when he and his team found Dealer Spike. After looking through dozens of motorcycle and equipment websites, as well as the other industries Dealer Spike serves, Evans could see that it was a good fit. before.” The websites have proven to make a substantial difference in sales leads as well. Evans estimates that the dealerships receive over three times as many leads per week than they did before. Evans calls having an excellent website “instrumental” in the golf car dealership industry. People often come into his stores with a picture of the unit they want, saying that they’ve already done their research online. Evans recognizes that physical dealerships are still a necessity for the golf car industry. “People want to see it, feel it, touch it before they buy,” he says. “But brick and mortar stores just aren’t as important as they used to be.” Customers make the bulk of their purchasing decisions while browsing dealership websites. The rise of online research and shopping among consumers makes it more crucial than ever to have a strong digital presence. Dealerships like Mission Golf Cars that recognize the importance of moving toward digital over traditional marketing are taking an active role in protecting and cultivating their business.